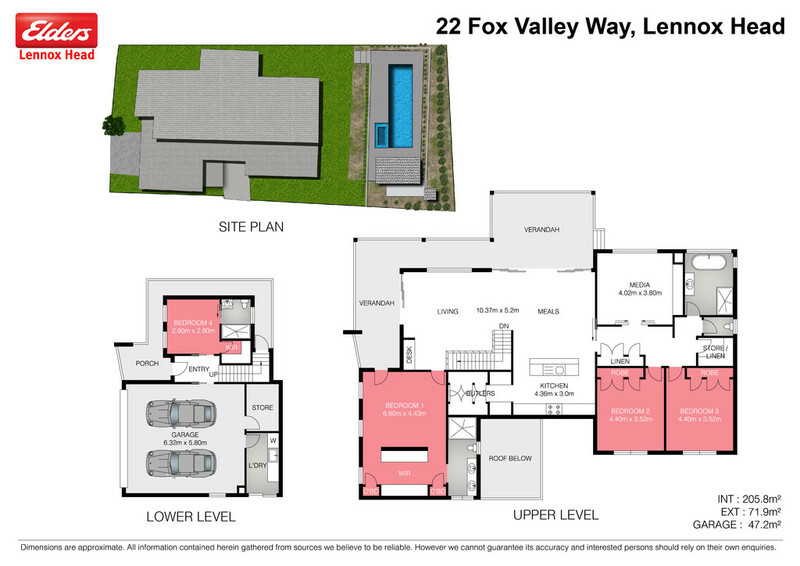 If quality is a necessity, comfort impresses and style excites you then 22 Fox Valley Way offers the epitome`of modern luxury living. Thoughtfully designed with no wasted space, the layout is perfect for families featuring an en-suited guest room, oversized double garage and laundry all on the entry level. While the second floor of this exquisite home boasts, vaulted ceilings, polished timber floors, ducted air-conditioning, over-sized butlers pantry, open plan living with the kitchen, dining and lounge flowing onto a wrap around north-facing deck. Also on this level is the master suite, spacious family bathroom, 2 double bedrooms and a separate media room. A private pool and cabana are the centre piece of the landscaped surrounds which deliver resort style living, fresh air and a permanently relaxed atmosphere. All of this is within a level walk to the future Epiq shopping centre and sports fields.